In our sewing classes at the shop in Cleveland Heights, we do a lot of talking about sewing machines. The basics of sewing are pretty simple. It’s when something jams in the machine, the machine starts making weird noises, or you get off track with a stitch that things get complicated. It’s often hard to find a video or look up an answer if you aren’t sure what the issue actually is or what a part is called. 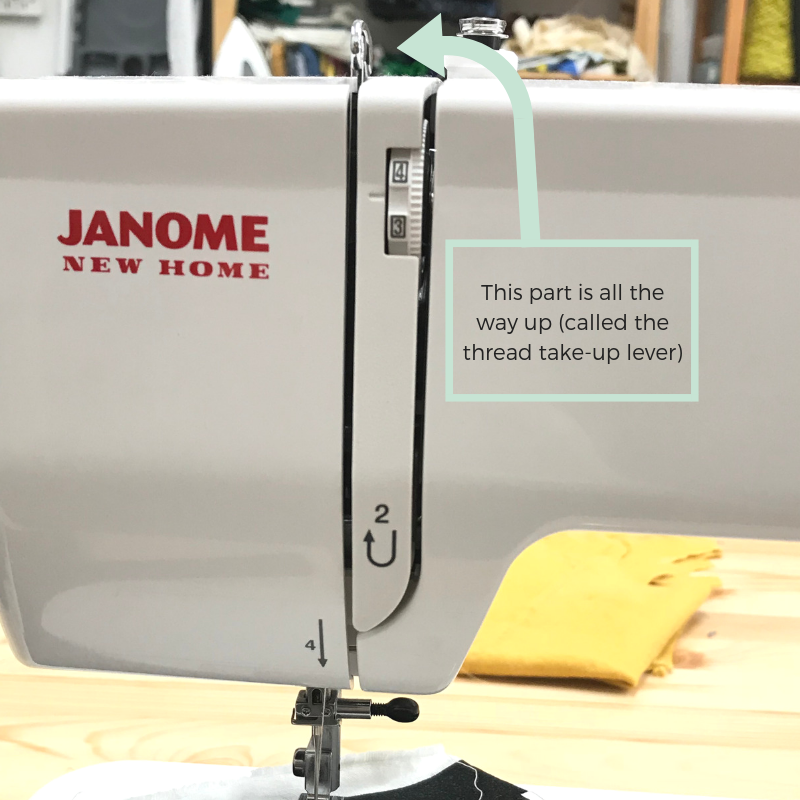 So, here’s a quick guide to common issues with the sewing machine that you can use to troubleshoot your own sewing at home. 1. Always make sure the needle is in the up position when you are finished sewing. If it is not, two things happen. The needle is likely to come unthreaded when you start the next stitching line and the top thread is looped around the bobbin wheel, which makes it feel like you can’t pull your work away for cutting. This second part is key, because it’s the number one issue encountered in our classes. That loop around the bobbin causes tangles, messed up stitches, and jammed fabric. 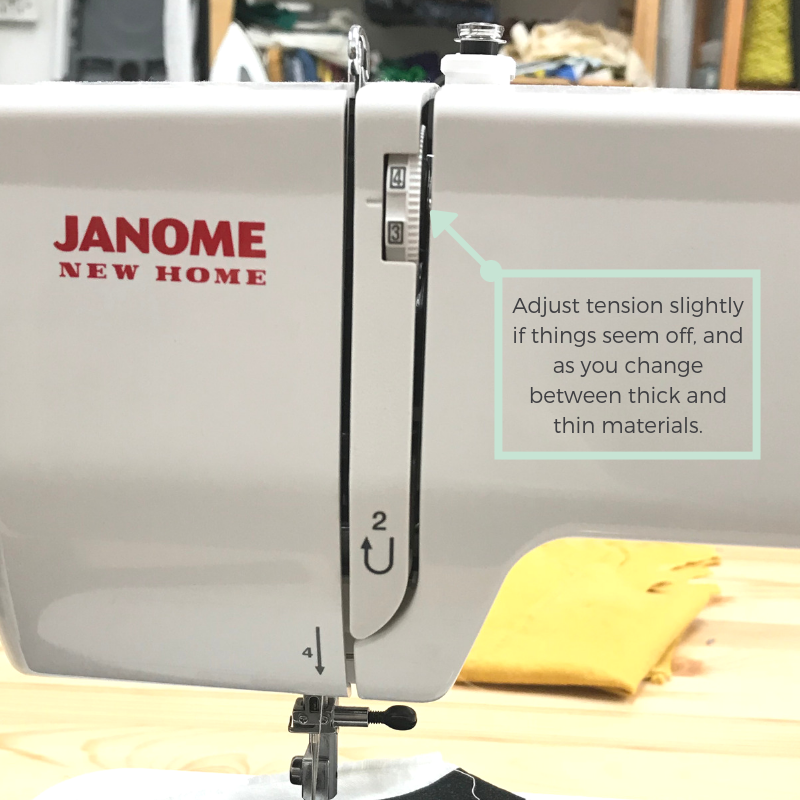 If you forget to put the needle up, and encounter any of these issues, just quickly make the adjustment, check the bobbin, and you can probably prevent the tangling. 2. Give your machine a regular cleaning. This one is actually quite simple. First, dust off your machine on the outside, especially around the needle and feed dogs. Then take off the bobbin cover, remove the bobbin, and unscrew the plate so you can clean around the bobbin casing and feed dogs on the underside. Once the plate is off, use the little brush that comes with the machine or a few cotton swabs, and some strong puffs of air (you can blow on it or use a keyboard air can) to remove any threads, dust or other debris. That’s it. 3. If your machine is clean, you’re keeping the needle in the right position, and things seem off, try adjusting your tension slightly. If that doesn’t do it, try rethreading the needle from the top down, and/or check the bobbin to make sure you put it in the right way. 4. You should replace your needle regularly and use the needle with the size and type that fits your project. Many guides suggest replacing your needle with each new project. That’s hard to define, but know that if you start to have unexplained issues with your stitching, and rethreading doesn’t work, replacing your needle will likely fix things. 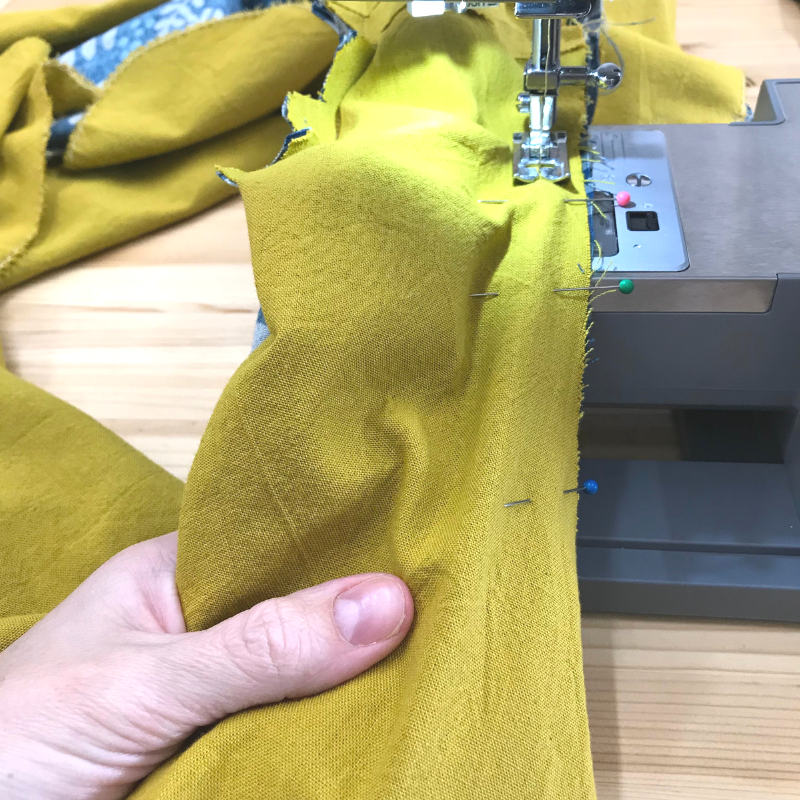 Using the right needle for the job is also important - it won’t break the machine, but it can damage your fabric or give you frustrating or ugly results if you don’t use a well suiting needle. Generally the needles you’ll use for most of your sewing needs are the universal needle for basics, ballpoint/jersey for knitted fabrics, denim/jeans for thick fabrics (especially if there are thick seams), leather needles for sewing leather or thick vinyl, and quilting for machine quilting. 5. In all things, your owner’s manual is actually a very useful document for getting to know your machine.I am not one to pour over manuals, but I have found that actually looking through mine has been very helpful and I’ve learned some things I had no idea I could do with the machine over the years. What's Sewing at Studio How-To?